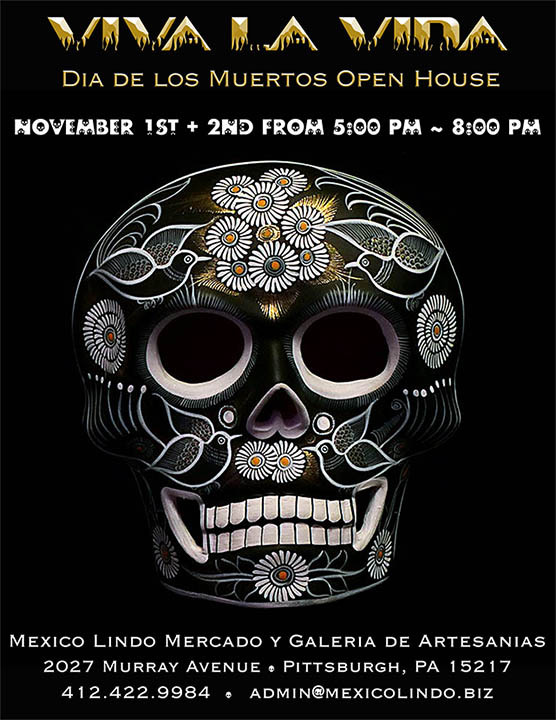 Dia de los Muertos Open House. In honor and remembrance of my husband Jean-Pierre Nutini, my father in law Hugo Nutini and our dog Adelita. Add the name of your beloved ones to the ofrenda. Enjoy hot chocolate from Oaxaca, coffee from Zapatista cooperatives in Chiapas, pan de muerto, cookies, candlelight and music.